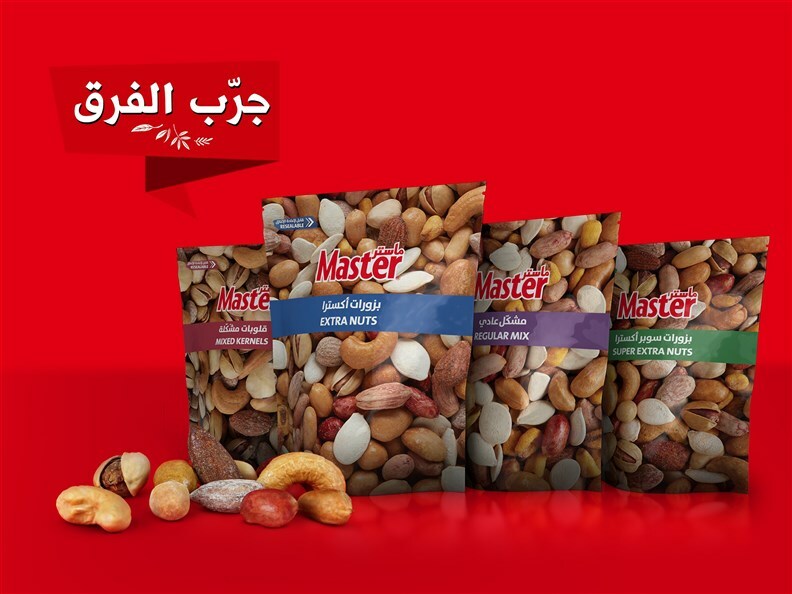 Daher Foods is now introducing Nuts, a new salty-snack addition to its Master range of products. Procuring top of the line quality raw material and manufacturing with the highest of quality and taste standards in our cutting-edge factory, these new Nuts by Master will surely satisfy everybody’s craving for great crunchy nuts! With a communication message inviting consumers to “Experience the Difference” or “جرب الفرق”, the brand offers 4 different 240g packs of mixed nuts and 26 packs of single type nuts, which are smaller in size.